NEW ORLEANS – There is a new No. 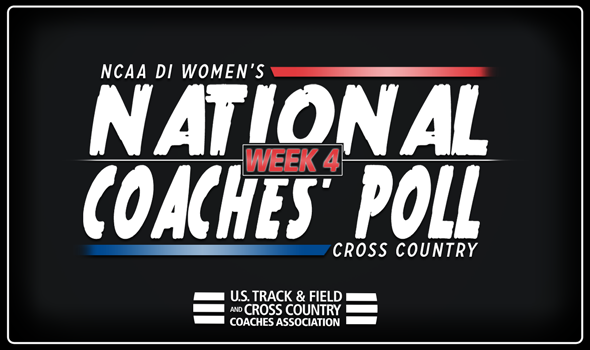 1 team in the country for the first time this season in the latest edition of the NCAA Division I Women’s Cross Country National Coaches’ Poll that was released by the U.S. Track & Field and Cross Country Coaches Association (USTFCCCA) on Tuesday. With top teams taking the course at meets like the Wisconsin Nuttycombe Invitational, the Louisville Classic, the Roy Griak Invitational and the Joe Piane Invitational, among others this past weekend, changes were bound to happen. To go with the naming of a new No. 1 there were also two programs who received their highest ranks in school history. In total 23 of the top-30 teams saw some sort of movement which included eight in the top-10. Colorado is the new unanimous No. 1 team in the country after it collected the team title at Nuttycombe. The Buffaloes finished 11 points higher than the next closest team at the meet and were led by Dani Jones, who crossed the finish line in fourth place. Colorado placed four athletes in total in the top-20 as Makena Morley finished sixth, Sage Hurta came in 13th and Tabor Scholl crossed in 19th. While it is their first time as the No. 1 team this season, the Buffs aren’t strangers to the view. It is the 11th time since 2011 that Colorado has been ranked No. 1. Only New Mexico (14 times) has accomplished the feat more over that time period. Coming in at No. 2, with the highest ranking in program history, is Boise State. The Broncos have recorded consecutive impressive performances to open the year and finished a game runner-up to Colorado this past weekend. Boise State was led by three top-10 finishers at Nuttycombe in Allie Ostrander (fifth), Emily Venters (ninth) and Clare O’Brien (10th). The Broncos placed all five scoring athletes in the top-50 as Aleix Fuller (26th) and Maxine Paholek (41st) rounded things out for the group. Coming in at No. 3 is defending national champion New Mexico, which saw its four-week stay atop the poll snapped. The Lady Lobos finished third at Nuttycombe and had three athletes in the top-10 in Weini Kelati (second), Ednah Kurgat (third) and Charlotte Prouse (seventh). The No. 4 spot remains with Oregon, one of just two teams in the top-10 not to experience a change in rank. The Ducks were off from competition this past week after picking up a victory at the Bill Dellinger Invitational a few weeks earlier. Oregon returns to action at the Pre-National Invitational on October 13. Stanford is ranked No. 5 and it fell two spots despite winning the Stanford Invitational this past weekend. To go with the team-title, Elise Cranny also recorded the individual victory for the Cardinal as it edged out Adams State, the No. 1 team in NCAA Division II, by a 62-69 margin. The No. 6 selection is Villanova, which owns its highest rank since the 2011 season. The Wildcats finished fourth at Nuttycombe and Nicole Hutchinson paved the way with an 11th-place showing. Caroline Alcorta was right behind in 12th while Rachel McArthur came in 29th. Improving two spots to No. 7 is Arkansas after the Razorbacks recorded a fifth-place showing at Nuttycombe. The top performance of the group belonged to Katrina Robinson who came in eighth. She was followed by teammates Carina Viljoen (14th) and Taylor Werner (20th). Falling one spot to No. 8 is Wisconsin, despite a solid showing at Nuttycombe. The Badgers finished sixth as a team and got an individual win by Alicia Monson, who was the first Wisconsin athlete to win the individual title at the meet. It was the best team finish for the Badgers in the 10-year history of Nuttycombe. Jumping into the top-10 for the first time this year is No. 9 BYU after the Cougars won the Joe Piane Invitational with a 37-point performance. BYU was led by individual champion Erica Birk and placed three athletes in the top-5 of the meet. Staying in the No. 10 spot for the third week in a row is Michigan, which took home the championship at the Louisville Classic. The Wolverines placed three athletes inside the top-10 and six inside the top-20, led by Avery Evenson’s fifth-place finish. The two biggest gains in the middle of the poll belonged to No. 11 Indiana and No. 23 Portland. The Hoosiers shot up eight spots and received their highest rank in school history after they finished seventh at Nuttycombe. Indiana was led at the meet by Maggie Allen, who placed 18th as an individual. The Pilots improved six spots to record their best rank since 2016. Portland finished 12th at Nuttycombe this past weekend and put three runners in the top-50. No. 17 Columbia also saw a huge improvement as it went from not receiving any votes last week to its current rank in the poll. The Lions finished 11th at Nuttycombe and were paced by a 43rd-place finish by Allie Hays. It is the highest rank the program has received since the 2005 season. Columbia was joined by three other new teams entering the top-30 this week in No. 24 Yale, No. 25 Florida State and No. 29 Princeton. While the other two have been around the poll, it is the first time the Seminoles have been ranked since the opening poll of 2015. Southern Utah, California, Dartmouth, Oregon State, SMU, Georgetown, UCLA, Texas, Ohio State and Duke also received votes. Make sure to check back in throughout the season as a lot will change leading up to the 2018 NCAA Division I Cross Country Championships on Saturday, November 17, especially with the Pre-National Invitational just around the corner on October 13.